What can real estate pros learn from Spain's World Cup loss? Real estate nirvana? Not quite. The market is consistently improving, but nirvana it is not. There are so many factors that can throw a monkey wrench in the works — internal and external factors. As an agent, how do you function in that environment? Let me tell you about how top agents do it. They are real estate athletes. Top-producing real estate agents. Pro athletes. They have common traits that I have observed. Top-producing real estate agents do not let it take away their focus if the economy is up, down or even if it is going sideways. They do not think much about the weather, holidays or the hour of the day that it is. Real estate athletes thrive no matter what the environment and the market throws at them. They ignore all of the outside factors, put their heads down, and WORK with no excuses and mental toughness. They don’t get knocked off their game easily. Sometimes it is not easy. This post will have meaning to those who are experiencing adversity in their market. Low-inventory bidding wars are the hot topics today, and adversity will hit again when there is yet another stock market crash, real estate market crash, hurricane, flood, tsunami or blizzard. Top real estate agents may have to be more resourceful in trying times, but they do not let outside factors determine their level of success. These agents are great at finding creative solutions and they are persistent. Would you describe top athletes this same way? I would. 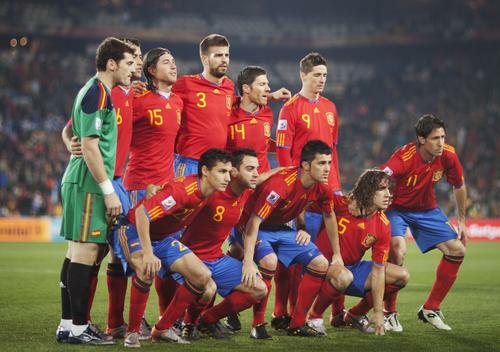 As we head into the fierce competition that is World Cup soccer, adversity has hit team Spain. Spain won the cup in 2010 and entered the tournament as defending champs. Now, after losing 5-1 in a first-game matchup against the Netherlands, Spain is facing what has been called in the media a catastrophe. It has been said that fans are in mourning. This turn of events has the world tuned in to this World Cup tourney and it is anyone’s game right now. If Spain can lose, anyone can lose. I can’t wait to see how Spain continues forward after this loss. My prediction — they will not complain, they will brainstorm, get creative, adjust their game, practice and stay positive. 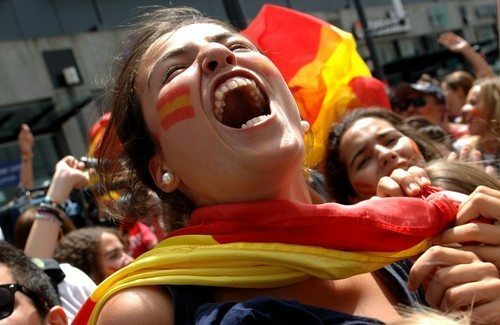 Spanish soccer fan image via Shutterstock. Aspire to be a world-class real estate professional? Take what I have written to heart, follow the example of top sports professionals and watch what happens with your business. You will like the results. Last but not least, know that your coach or mentor is your biggest fan. Go get ’em!